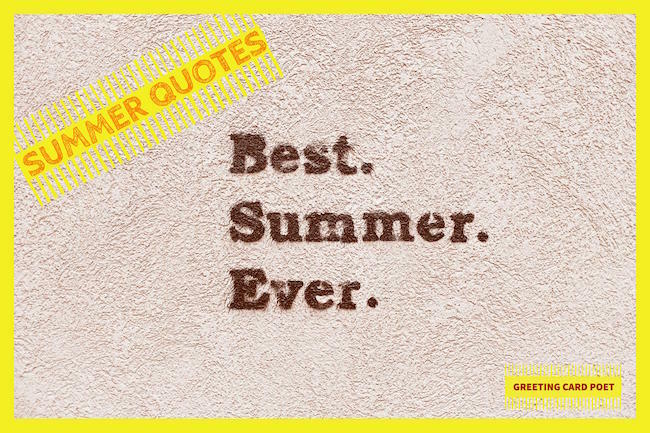 If you are looking for some fun quotes about summer, you’ve found your perfect spot in the sun. Lay down your blanket and stay awhile. Summer, the most pleasant time of the year is the “abode and retreat” of poets. This is where they find peace, love, thrills and fun. 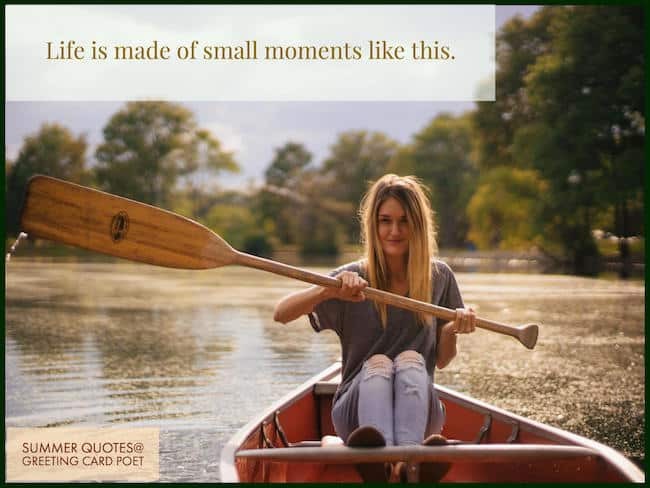 It’s where some of the most beautiful memories of your life are treasured in. Everyone from kids to adults wait for the season when the warmth of the sun brightens their faces and brings mirth to their hearts. Share these words of wisdom with your friends or loved ones. Fall in love again with that time of year that’s meant to be treasured. Cherish the beautiful memories you shared with friends or feel the nostalgia that this season always carries with it. 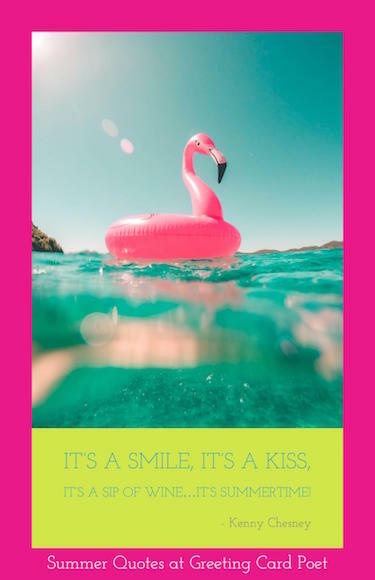 Rejoice as summer should…chase away sorrows by living. When the winter comes, the summer shines infinitely in our hearts! I loved and hated summers. Summers had a logic all their own and they always brought something out in me. Summer was supposed to be about freedom and youth and no school and possibilities and adventure and exploration. Summer was a book of hope. That’s why I loved and hated summers. Because they made me want to believe. Mama always told me not to look into the sights of the sun. Oh, but mama, that’s where the fun is. August rain: the best of the summer gone, and the new fall not yet born. The odd uneven time. There is something deep within us that sobs at endings. Why, God, does everything have to end? Why does all nature grow old? And, why do spring and summer have to go? …and all at once, summer collapsed into fall. Watching the summer close is like watching a good kid die for no apparent reason. The morning had dawned clear and cold, with a crispness that hinted at the end of summer. Sigh… there goes another summer, Snoopy! If June was the beginning of a hopeful summer, and July the juice middle, August was suddenly feeling like the bitter end. I almost wish we were butterflies and liv’d but three summer days – three such days with you I could fill with more delight than fifty common years could ever contain. I like summer. I like warmer weather and long days. I’m one of those silly people who still enjoy lying in the sun! Here are some who like to run. They run for fun in the hot, hot sun. They don’t care what you do. They just want the beach and the sun and the fun. Isn’t it fun to go out on the course and lie in the sun? 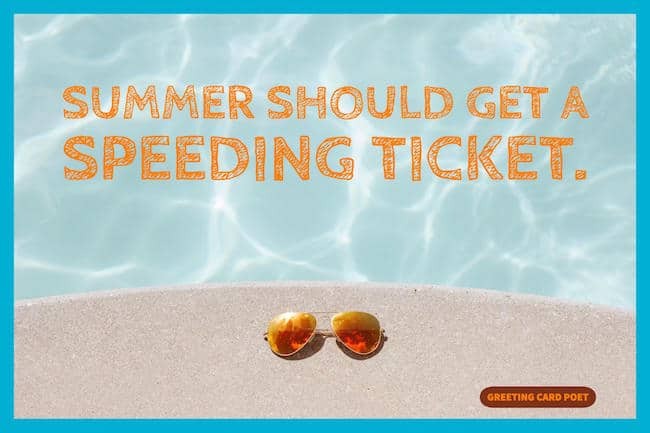 It’s summer and time for wandering. 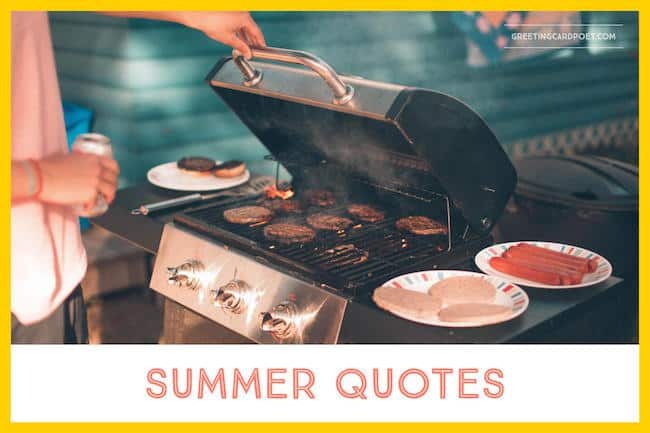 Check out our 4th of July quotes, wishes and memes.